Making your current home smarter is easier and more affordable than you think, thanks to a wide range of internet-connected plugs and switches. Smart plugs let you control the power supply of almost anything via your smartphone or a smart speaker assistant like Amazon Alexa, Google Assistant and Apple's Siri. 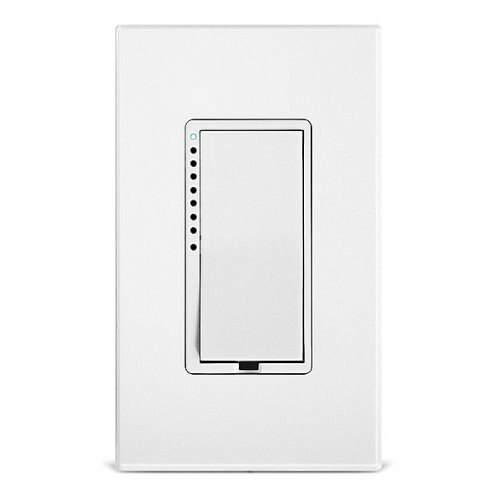 Smart switches can replace your lighting controls with something much more intelligent. We will start with the simpler of the two: smart plugs. These cheap (and getting cheaper) products are very easy to install and set up, and are the perfect starting point for making your home smarter. They're also renter-friendly, as they don't require installation, and can simply be unplugged and taken with you when you leave. Smart switches are a bit different, and are wired into your home's electrical supply, usually replacing your current light switches. Although, this isn't always the case, as we will explain later. 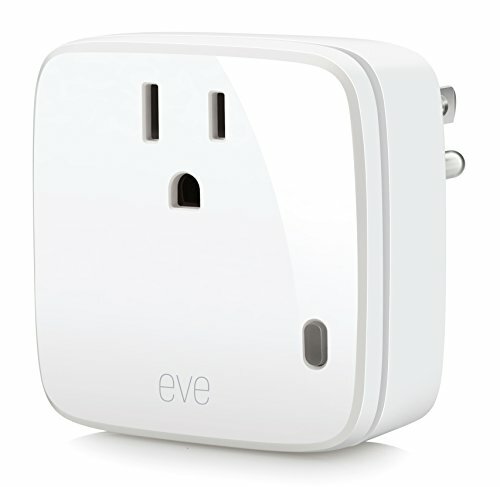 Smart plugs come in many shapes and sizes, and their prices vary. 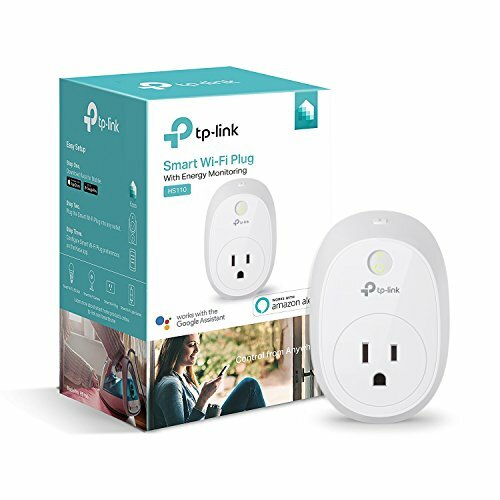 Generally speaking, the simplest of smart plugs can be bought for around $12 to $15 each — or in packs of two for $25 or four for as little under $50. 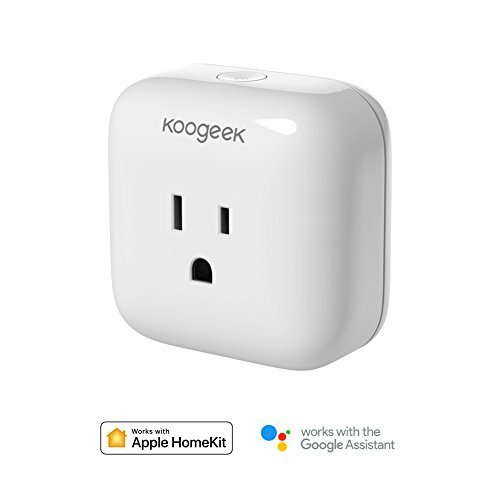 These little devices plug into your wall outlets, and have a socket on their back for anything to be plugged into them — such as a fan, lamp, television or any number of household appliances and devices. Inside, they have a Wi-Fi chip that speaks to your router and home network. To set them up, you download a smartphone app which connects the plug to your Wi-Fi controls switching the plug on and off. You can also set timers in the app, and connect the plug to an Amazon Echo or Google Home smart speaker. Many smart plugs also have a physical on and off switch on them, which means they can be controlled without your phone or voice — or by a less technically-minded member of the household. A number of manufacturers offer smart plugs for between $20 and $30 for a pair, including Anbes, Etekcity, Amysen, Apromio, which tend to run small, review well, and are often available with next-day Amazon Prime delivery. Smart power strips are also available, which are essentially four smart plug and four USB ports in a single device. Each of the four smart sockets is surge-protected, like one made by Conico, and can be individually controlled by your smartphone or by speaking to Alexa and Google Assistant. TP-Link's Kasa platform includes a range of smart plugs priced from around $23 each, while a two-pack can be bought for a little under $40. TP-Link also sells 'mini' versions which take up less space, along with more expensive plugs that monitor energy usage through the Kasa app. Although you could argue the cheapest option is best, you might want to consider the Kasa ecosystem, which includes smart light bulbs, light switches, security cameras and other smart home devices. As well as being controlled by the Kasa app, these devices can also be controlled by Alexa and Google Assistant. Another ecosystem to consider is Wemo by Belkin. Wemo smart plugs are very similar to the Kasa range and start at around $25. 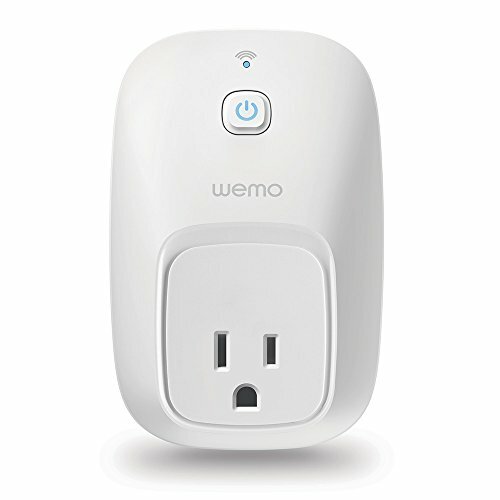 The Wemo ecosystem includes cameras, indoor and outdoor lighting, a baby monitor, and wired light switches. iDevices sell smart plugs with energy monitoring and Alexa support for just under $30, along with weather-resistant outdoor smart plugs and a socket for making your existing bulbs smart without requiring a smart home hub. Working much like a smart plug, the iDevices socket holds a standard light bulb, which is then placed into the existing socket in your ceiling, and controlled via the smartphone app. Finally, there is Elgato Eve, which GearBrain reviewed, an ecosystem which includes smart plugs and wireless light switches from around $50, to door and windows sensors, motion sensors, outdoor weather sensors and a complete weather station. Smart plugs are all well and good, but they can be made to do much more with a free platform called If This, Then That (IFTTT). IFTTT applets are little instructions which tell smart home devices to react based on data given to them. For example, a smart plug can be told by IFTTT to switch on every time an air quality monitor (like the Awair or Foobot) records high levels of toxic air, known as VOC, in your home. Fit an air purifier or even just a regular fan to this smart plug, and you have yourself an automated air ventilation system, where the fan switches on whenever air quality falls. Generally speaking, there are two types of smart home switch: wired and wireless. Wireless switches are renter-friendly because they do not require any changes to the current wiring and switches in your home. In some case, they don't even need to be stuck on the wall. For example, the Philips Hue smart lighting starter kit includes a Wi-Fi dimmer switch. The switch has four buttons, is configurable via the Hue app, and comes with a magnetic mount which can be stuck to your wall. That way, you can leave the switch lying around wherever it's most convenient, or stick the mount to a wall and place the dimmer in its magnetic holder when you don't need it to be portable. 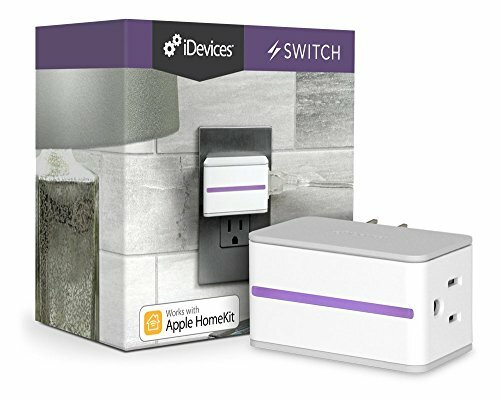 iDevices sells a very similar switch which is wireless and can be placed (or stuck) wherever you like, and controls all compatible iDevices products. An interesting alternative here is Switchmate, which GearBrain has reviewed, wireless switches that fit over the top of your current rocker or toggle switch, then physically moves them when activated by a smartphone app. They are battery powered and attach above your existing switches magnetically. 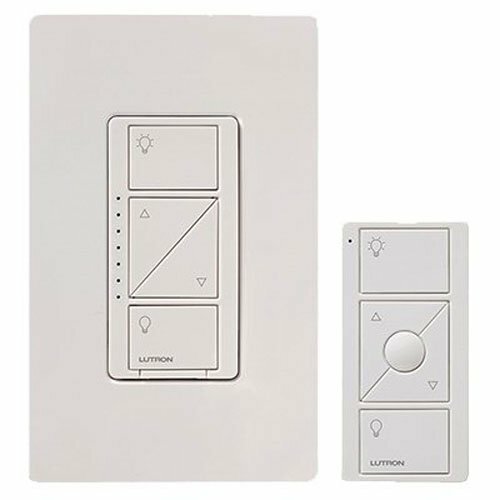 The switches then connect to your phone via Bluetooth, where they can be controlled by Alexa, Google Assistant, or the Switchmate app itself. Pressing the switch still activates your light, but now you can control them with your phone from up to 150 feet away (depending on the layout of your home). You can also set schedules so they come on each evening, or more regularly while you are on holiday to deter potential burglars. For the homeowner who wants a more integrated way of controlling their lights, wired smart switches provide the answer. These are not suitable for renters as they require the removal of existing switches and the wiring-up of replacements — something your landlord will likely not allow. If you have discovered that your property has the right wiring — or have had an electrician replace it all for you — then you'll be ready to buy some smart switches. There are several options by different manufacturers to pick from. Some, like those by Belkin's Wemo and TP-Link's Kasa, will tie in nicely with any other components you own from the same ecosystem, so asking yourself if you want to stick with that platform is a good place to start. That was probably a lot to take in for anyone new to smart home technologies, but it is important to understand the basics before venturing much further — especially where the decades-old wiring of your home is concerned. Smart plugs make a brilliant first step and can be used by just about anyone — renters or owners. There are only a handful of wireless switch options, but they are from market leaders who produce a healthy range of other products in the same ecosystem, like Philips Hue. And then we have the wired smart switches, which require more work but will make your home feel truly smart once installed in every room. And don't forget to check out The GearBrain to see what other smart plugs, switches work with Google Home or Amazon Alexa enabled device.